Dormice seek refuge in relatively undisturbed broadleaf woodlands. They will readily use the 1KS Box as a secure refuge, or for overwintering too, depending on the locality. 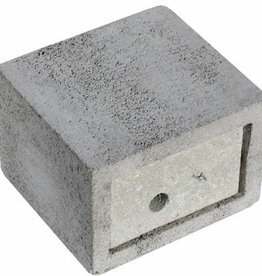 Material: SCHWEGLER wood-concrete box. Hanger: steel, galvanised. Occupants: All indigenous Dormice (Edible, Garden, Forest and Common Dormice). Dimensions: W 17.5 x H 29.5 x D 22.5 cm. Interior: 12.5 x 12.5 cm. Includes: Box, hanger, aluminium nail. 2KS Hazelmuishok is a tree dwelling place for this protected species. 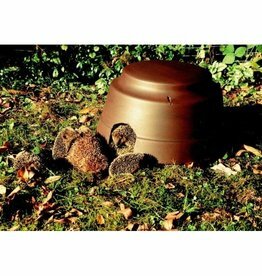 This Hedgehog Dome with insulated base is a universal dome for this lovely mammal. 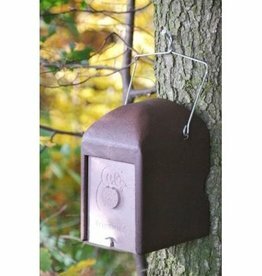 Small Mammal Block Type 28 for small mammals like mice and shrews.